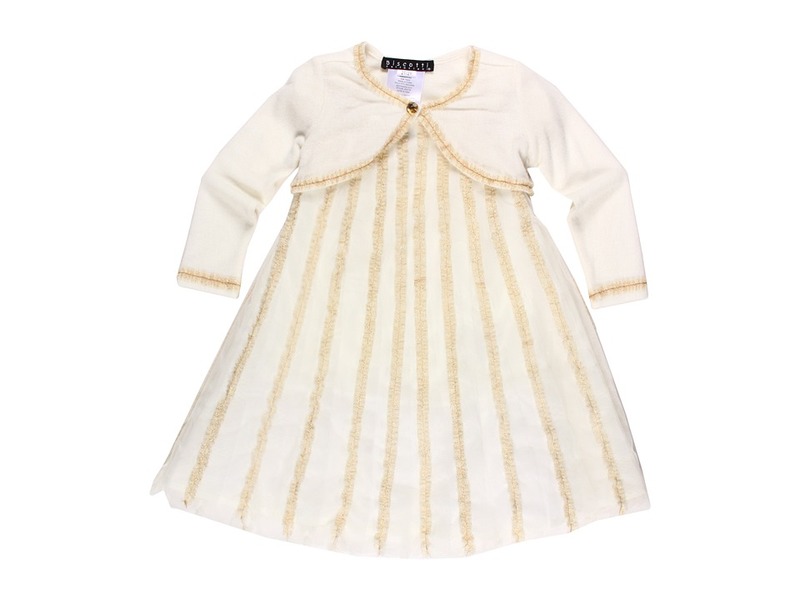 Biscotti *Touch of Gold* Dress & Sweater. Great for the Holidays! Biscotti Dress includes Sweater. Gold highlights make the outfit great for the holidays. Fit and flair shape, cap sleeve, and soft ivory and gold accents.